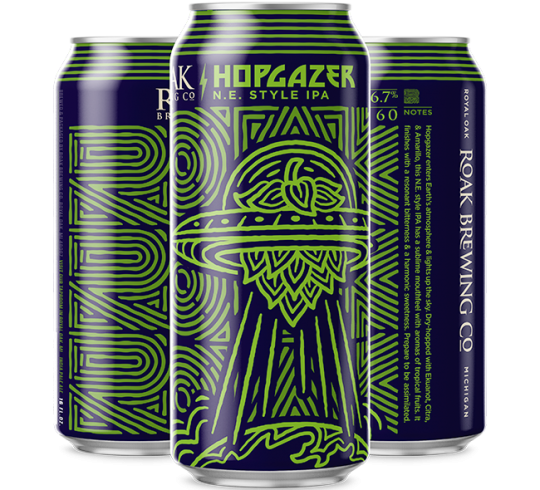 HOPGAZER – ROAK Brewing Co.
HOPGAZER ENTERS EARTH’S ATMOSPHERE AND LIGHTS UP THE SKY. 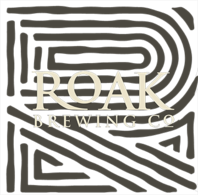 DRY-HOPPED WITH EKUANOT, CITRA, AMARILLO, AND EL DORADO, THIS N.E.  STYLE IPA HAS A SUBLIME MOUTHFEEL WITH AROMAS OF ORANGE, GRAPEFRUIT, AND TROPICAL FRUIT. IT FINISHED WITH A RESONANT BITTERNESS AND A HARMONIC SWEETNESS, PREPARE TO BE ASSIMILATED.